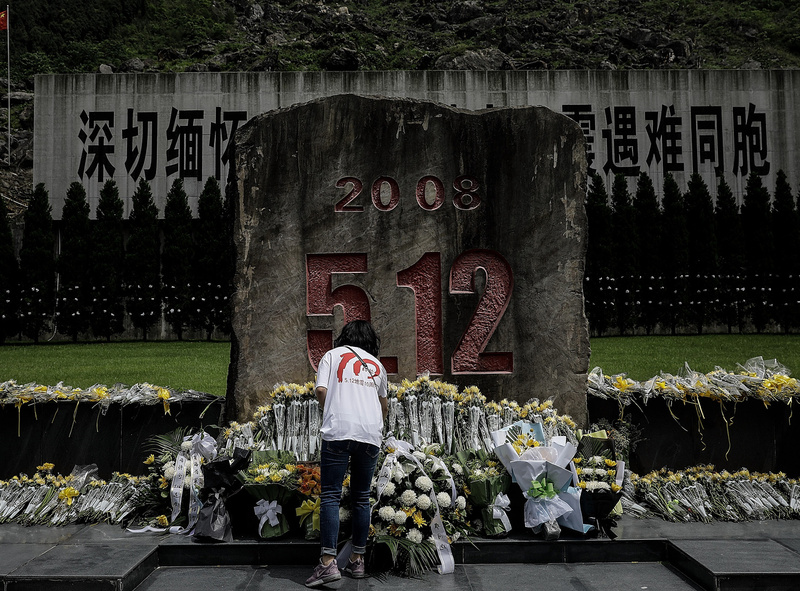 A women lays flowers at a memorial to victims of the Sichuan earthquake, in Beichuan, Sichuan province, May 12, 2018. This piece was first published on the NYR Daily on May 9, 2018. It also presented the country’s leadership with the chance for a needed reset. Within 90 minutes of the quake, China’s premier, Wen Jiabao, was on a plane to Sichuan. The government mobilized 130,000 soldiers and paramilitary police, while the Communist Youth League reported that, within a week of the disaster, it had 200,000 volunteers active in the mountainous region. These were the familiar actions of a competent, authoritarian state, but something else happened, too. Across society, an unprecedented outpouring of support welled up across the land. Many Chinese were now prosperous and eager to contribute to society. People spontaneously donated time and money, driving from far-off provinces in cars laden with food and water or renting out trucks to deliver supplies. Companies took up collections, and rescue crews raced to the scene to dig for survivors. If the government viewed these donors as meddling do-gooders, it had no tolerance at all for those who came with unpleasant questions. Some journalists and critics wondered, for example, why just 40 miles north of one of China’s most prosperous cities, Chengdu, minorities were living in substandard housing. And why, especially, had almost all the schools collapsed? One of the first on the scene was the veteran democracy activist Tan Zuoren. With the help of a network of volunteers, he surveyed 64 schools, finding that 5,600 students died, most of them buried alive in their classrooms. Tan’s work was captured on film by the independent historian and documentarian Ai Xiaoming, whose 2009 film Investigation by Citizens showed Tan walking through the spectacular mountain regions to visit the sites of the collapsed schools, lighting incense and grieving with relatives along the way. The Chengdu-based blogger Huang Qi publicized Tan’s work and helped coordinate the investigation.